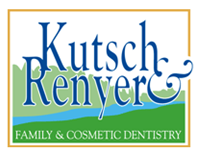 Since 1979, Kutsch & Renyer Family & Cosmetic Dentistry has built our practice philosophy around the concept that a healthy mouth equals a healthy body. Minimally invasive dentistry. 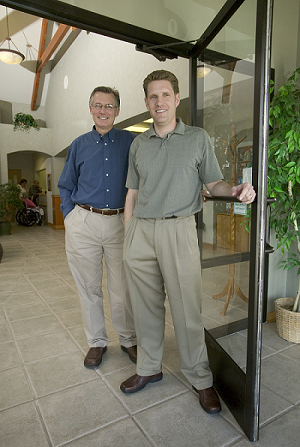 Our entire team believes strongly that preserving your healthy tissue and tooth structure is in your best interest. Because of this, we’ve invested in the technology to make your care less time-consuming, more comfortable and more effective. We also specialize in faster turn-around time on major restorative treatment, so you heal faster with longer-lasting results. Mercury-free restorations. Your health demands the best materials. Rest assured, we’ll only provide you with mercury-free restorations. If we place a filling in your tooth, it will match your natural tooth color. Cavity prevention. We’re not here just to fill cavities; we’re here to stop them before they start. Our cavity susceptibility tests measure bacteria levels that lead to cavities and other, more serious dental problems. We also offer the CariFree® line of products, which were invented by Dr. Kutsch. The gel and mouth rinse have been shown to significantly decrease bacteria, which leads to fewer cavities for our “at risk” patients.